Oil central heating with electric storage heaters, open fire and gas fire. 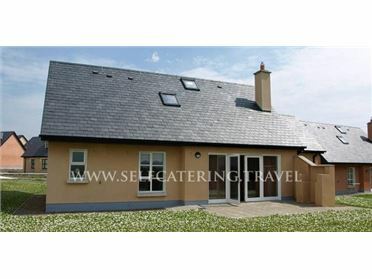 Electric oven and hob, microwave, fridge/freezer, washing machine and tumble dryer in external utility, dishwasher, TV with Saorview, DVD, CD/radio. Fuel, power and starter pack for fire inc. in rent. Bed linen and towels inc. in rent. Ample off road parking. Lawned garden to front and sides, plus rear patio with furniture and BBQ. Sorry, no pets and no smoking. Shop 5 mins walk, pub 2 miles..